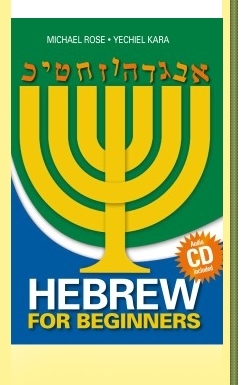 Learn to read Hebrew and learn to speak Hebrew in an easy way. This book is ideal for self-study. Easy-to-pronounce syllables are joined together to form words and sentences. This will teach you how to read Hebrew easily. An audio CD helps students with their pronunciation. Carry on studying with the next book in the series "Modern Hebrew - A Step by Step Guide" by Michael Rose and Ezri Uval.